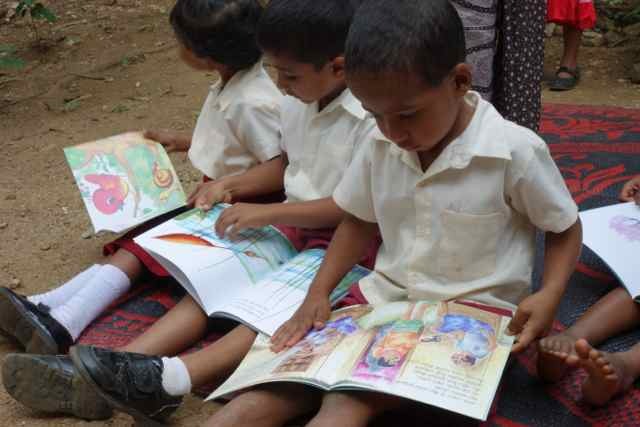 The Preschool Picture Book Box Project “ALIPENCHA” is intended to assist the government in developing education further by providing non-stressful experiences with picture books that allow children to explore and develop their language and literacy skills. In addition, picture books play an important role in introducing and promoting multicultural understanding. Wooden library box 25 picture books in 3 languages　Comment notes and take home bag. Over 400 ALIPENCHA have been distributed to preschools and other institutions. ALIPENCHA is a unique program benefiting many children. We welcome new donations for ALIPENCHA.